The malls are decorated for the holidays and holidays ads are going full forces. Sneak peeks at Black Friday sales are ready to go. Take a pause and remember we still have Thanksgiving Day ahead of us. 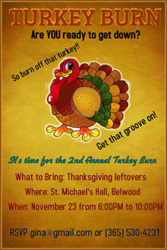 From the Turkey Burn to the Thanksgiving Day Food Drive, PosterMyWall.com has templates and backgrounds to help you make your Thanksgiving Day themed flyers in a snap. Use our Poster Maker to customize one of our templates or start one from scratch! 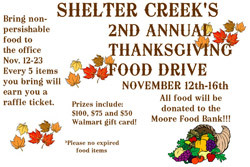 Dec 7 Create a Holiday Flyer - Spread the Cheer!